Lech Aleksander Kaczyński (Polish pronunciation: [ˈlɛx alɛˈksandɛr kaˈt͡ʂɨɲskʲi]; 18 June 1949 – 10 April 2010) was a Polish lawyer and politician who served as the Mayor of Warsaw from 2002 until 2005 and as the President of Poland from 2005 until his death in 2010. Before he became president, he was also a member of the Law and Justice party. He was the identical twin brother of the former Prime Minister of Poland and current Chairman of the Law and Justice party, Jarosław Kaczyński. On 10 April 2010, he died in the crash of a Polish Air Force jet that occurred on a landing attempt at Smolensk-North airport in Russia. Kaczyński was born in Warsaw, the son of Rajmund (an engineer who served as a soldier of the Armia Krajowa in World War II and a veteran of the Warsaw Uprising), and Jadwiga (a philologist at the Polish Academy of Sciences). As a child, he starred in a 1962 Polish film, The Two Who Stole the Moon (Polish title O dwóch takich, co ukradli księżyc) with his identical twin brother Jarosław. Lech Kaczyński was a graduate of law and administration of Warsaw University. In 1980 he was awarded his PhD by Gdańsk University. In 1990 he completed his habilitation in labour and employment law. He later assumed professorial positions at Gdańsk University and Cardinal Stefan Wyszyński University in Warsaw. In the 1970s Kaczyński was an activist in the pro-democratic anti-communist movement in Poland, the Workers' Defence Committee, as well as the Independent Trade Union movement. In August 1980, he became an adviser to the Inter-Enterprise Strike Committee in the Gdańsk Shipyard and the Solidarity movement. After the communists imposed martial law in December 1981, he was interned as an anti-socialist element. After his release, he returned to trade union activities, becoming a member of the underground Solidarity. When Solidarity was legalized again in the late 1980s, Kaczyński was an active adviser to Lech Wałęsa and his Komitet Obywatelski Solidarność in 1988. From February to April 1989, he participated in the Round Table talks. Kaczyński was elected senator in the elections of June 1989, and became the vice-chairman of the Solidarity trade union. 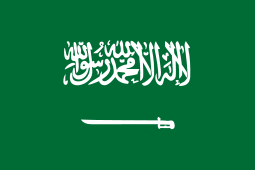 In the 1991 parliamentary election, he was elected to the parliament as a non-party member. He was, however, supported by the electoral committee Center Civic Alliance, closely related but not identical to the political party Centre Agreement (Porozumienie Centrum) led by his brother. He was also the main adviser and supporter of Lech Wałęsa when the latter was elected President of Poland in December 1990. Wałęsa nominated Kaczyński to be the Security Minister in the Presidential Chancellery but fired him in 1992 due to a conflict concerning Jan Olszewski's government. Kaczyński was the President of the Supreme Chamber of Control (Najwyższa Izba Kontroli, NIK) from February 1992 to May 1995 and later Minister of Justice and Attorney General in Jerzy Buzek's government from June 2000 until his dismissal in July 2001. During this time he was very popular because of his strong stance against corruption. In 2001 he founded the political party Law and Justice (Prawo i Sprawiedliwość – PiS), usually labelled 'conservative' by media, with his brother Jarosław. Lech Kaczyński was the president of the party between 2001 and 2003. His brother Jaroslaw is its current chairman. In 2002, Kaczyński was elected mayor of Warsaw in a landslide victory. He started his term in office by declaring a war on corruption. He strongly supported the construction of the Warsaw Uprising Museum and in 2004 appointed a historical panel to estimate material losses that were inflicted upon the city by the Germans in the Second World War (an estimated 85% of the city was destroyed in the Warsaw Uprising) as a direct response to heightened claims coming from German expellees from Poland. 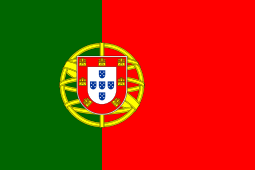 The panel estimated the losses to be at least 45.3 billion euros ($54 billion) in current value. He also supported the construction of the museum of Polish Jews in Warsaw by donating city land to the project. Kaczyński banned the Warsaw gay pride parade (Parada Równości) twice in 2004 and again in 2005, locally known as the Parada Równości (the Equality Parade), stating that the application of the parade organizers had not been properly filed, and also that he did not respect homosexuals' right to demonstrate, "I respect your right to demonstrate as citizens. But not as homosexuals.” Additionally, he feared the parade would promote a "homosexual lifestyle" and complained that police did not use enough force in breaking it up by stating “Why was force not used to break up an illegal demonstration?”. Kaczyński referred to the organizers of the gay pride parades as "perverts". In 2004 his opponents called his actions unconstitutional and he was repeatedly criticized by the Mazowieckie Voivodeship administration, which officially supervises the Mayor of Warsaw. In 2005, Kaczyński allowed a counter-demonstration, the "Parade of Normality", organized by the All-Polish Youth, a Catholic nationalist organization opposed to "liberalism, tolerance, and relativism." In 2007, Poland, represented by Kaczyński, was found guilty by the European Court of Human Rights of violating the principle of freedom of assembly under Article 11 of the European Convention on Human Rights. 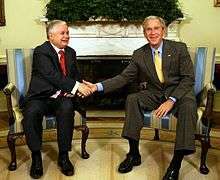 On 19 March 2005, he formally declared his intention to run for president in the October 2005 election. In the first round of the elections he polled only 33% of the vote, taking second place behind Donald Tusk. By the second round, however, he had gained the support of Radio Maryja, as well as of two other political parties besides his own: Self-Defence of the Republic of Poland, and the Polish People's Party. Elected President of the Republic of Poland (he defeated the runner-up Donald Tusk by polling 8,257,468 votes, constituting 54.04 percent of the vote), Kaczyński assumed office on 23 December 2005, taking an oath before the National Assembly. In his first public speech as president-elect, Kaczyński said that his presidency would pursue the task of ameliorating the Republic, a process which he said would consist of "purging various pathologies from our life, most prominently crime (...), particularly criminal corruption – that entire, great rush to obtain unjust enrichment, a rush that is poisoning society, [and preventing the state from ensuring] elementary social security, health security, basic conditions for the development of the family [and] the security of commerce and the basic conditions for economic development. During his inauguration he stated several goals he would pursue during his presidency. Among those concerning internal affairs were: increasing social solidarity in Poland, bringing justice to those who were responsible for, or were affected by communist crimes in the People's Republic of Poland, fighting corruption, providing security in economy, and safety for development of family. Kaczyński also stated that he would seek to abolish economic inequalities between various regions of Poland. In his speech he also emphasized combining modernization with tradition and remembering the teachings of Pope John Paul II. On 21 December 2008, Kaczyński became the first Polish head of state to visit a Polish synagogue and to attend religious services held there. His attendance coincided with the first night of Hanukkah. Kaczyński memorialized many of Poland's national heroes known as cursed soldiers who perished at the hands of the Polish secret police, the Soviet NKVD, the SMERSH, and other repressive organs of communist rule. 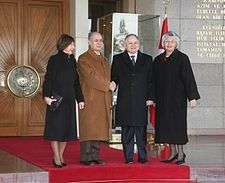 Lech Kaczyński and President of Turkey Ahmet Necdet Sezer, 2007. From 2005 to 2007, in accordance article 133 of the Constitution of the Republic of Poland, Kaczyński pardoned 77 people and declined to pardon 550. Meeting with his Lithuanian counterpart, Dalia Grybauskaitė, in Vilnius at the Presidential Palace, 8 April 2010. This was to be Kaczyński's last meeting with a fellow head of state. In foreign policy, Kaczyński noted that many of Poland's problems were related to the lack of energy security and this issue would have to be resolved to protect Polish interests. Strengthening ties with the United States while continuing to develop relations within the European Union are two main goals of Polish foreign affairs, as well as improving relations with France and Germany despite several problems in relations with the latter. Aside from those issues, his immediate goals were to develop tangible strategic partnership with Ukraine and greater co-operation with the Baltic states, Azerbaijan and Georgia. He was greatly admired in Israel, because he promoted educating Polish youth about the Holocaust. There was widespread grief in Israel over his death. Defense Minister Radosław Sikorski compared the planned Russia to Germany gas pipeline to the Ribbentrop-Molotov Pact and Foreign Minister Anna Fotyga stated that the pipeline was a threat to Poland's energy security. In November 2006 in Helsinki, at a European Union—Russia meeting, Poland vetoed the launch of EU-Russia partnership talks due to a Russian ban on Polish meat and plant products imports. 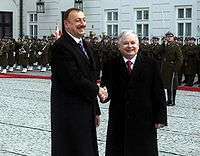 Lech Kaczyński and president of Azerbaijan Ilham Aliyev, 2008. As a reaction to claims by a German exile group Preussische Treuhand, which represents post-1945 German expellees from Eastern Europe, the Polish Foreign Minister Fotyga mistakenly threatened to reopen a 1990 Treaty fixing the Oder and Neisse rivers as the border between the two countries instead of the Neighborhood Treaty signed in the same year. Following the military conflict between Russia and Georgia in 2008, Kaczyński provided the website of the President of Poland for dissemination of information for blocked by the Russian Federation Georgian internet portals. During a state visit to Serbia in 2009, Kaczyński said that the Polish government, on the basis of its constitutional competences, decided to recognize Kosovo and emphasized that he, as the President of the state, did not agree with that. Kaczyński married economist Maria Kaczyńska in 1978. 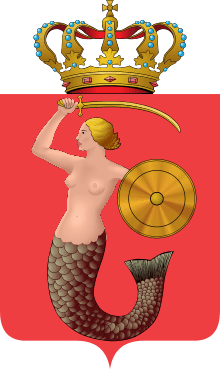 They had one daughter, Marta Kaczyńska-Dubieniecka, and two granddaughters named Ewa and Martyna. 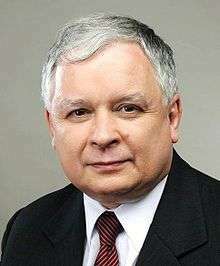 His brother is Jarosław Kaczyński, the former Prime Minister of Poland. Dmitry Medvedev signs a book of condolence at the Polish embassy in Moscow. On 10 April 2010, a Tupolev Tu-154M plane was carrying Lech Kaczyński, his wife Maria Kaczyńska, and other members of a Polish delegation (top public and military figures) from Warsaw to commemorate the Katyn massacre. The plane crashed while approaching Smolensk Air Base in Russia. The governor of Smolensk Oblast confirmed to the Russia 24 news channel that there were no survivors. 96 people were killed in the crash, including many of Poland's highest military and civilian leaders. Russian President Dmitry Medvedev ordered a government commission to investigate the crash. Russia's Prime Minister, Vladimir Putin, was placed in charge of the investigation. 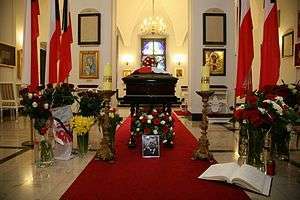 On 11 April 2010, President Kaczyński's body was returned to Poland, where he and his wife lay in state at the Presidential Palace in Warsaw. The state funeral was held in Kraków on 18 April 2010. After a Roman Catholic mass at St. Mary's Basilica, the presidential couple were laid to rest in a sarcophagus, which was placed in the antechamber of the Crypt Under the Tower of Silver Bells beneath the Wawel Cathedral. A significant number of foreign dignitaries were unable to attend the funeral as a result of air travel disruption in Europe following the eruption of the volcano Eyjafjallajökull in Iceland. ↑ "Polish president killed in plane crash". CNN. 10 April 2010. Retrieved 10 April 2010. ↑ "Kaczynski Often a Source of Tension Within E.U." Obituary New York Times, 11 April 2010; page A12. ↑ "Polish leader known as a feisty battler" Obituary Los Angeles Times, 11 April 2010; page A13. ↑ "Polish President Lech Kaczynski dies in plane crash". BBC News. 10 April 2010. Retrieved 10 April 2010. ↑ "Polish President Lech Kaczynski Killed When Plane Crashed on Approach To Smolensk Airport in Russia". Sky News. Retrieved 10 April 2010. ↑ "Rajmund Kaczyñski h. Pomian: genealogia (Potomkowie Sejmu Wielkiego)" (in Polish). Sejm-wielki.pl. 14 December 2004. Retrieved 11 April 2010. ↑ "Jadwiga Jasiewicz h. Rawicz: genealogia (Potomkowie Sejmu Wielkiego)" (in Polish). Sejm-wielki.pl. Retrieved 11 April 2010. ↑ "BBC News: Gay marchers ignore ban in Warsaw". 11 June 2005. Retrieved 5 January 2010. ↑ "Two for the price of one, in the shape of Tweedledum and Tweedledee | April 2007 | New Internationalist". Newint.org. Retrieved 26 May 2010. ↑ "Pinknews: Anti-gay Warsaw Mayor, Lech Kaczynski, wins Polish Presidential election". ↑ "Polish gay activists win human rights case". 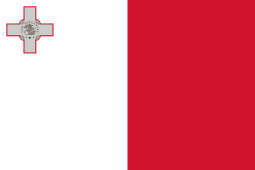 Poland.pl. 4 May 2007. Retrieved 11 April 2010. ↑ ""CASE OF BĄCZKOWSKI AND OTHERS v. POLAND, Verdict". Page 31". Retrieved 24 July 2009. ↑ "whole text of the judgement (en)". Retrieved 24 July 2009. ↑ "Speech of the president-elect on his official webpage". ↑ Associated Press. Polish president visits synagogue for Hanukkah. accessed and written 21 December 2008. ↑ Archived 15 April 2010 at the Wayback Machine. 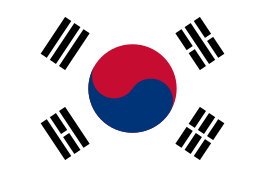 ↑ "ENERGY DELIVERIES – Gas Diplomacy". The Warsaw Voice. 7 June 2006. Retrieved 16 January 2006. ↑ "EU Divided After Poland's Veto Hosts Russia's Putin at Summit". MosNews. 24 November 2006. Retrieved 16 January 2006. ↑ "Poles Angered by German WWII Compensation Claims". Der Spiegel. 18 December 2006. Retrieved 16 January 2006. ↑ "Furious Poland Threatens to Re-Open German Border Treaty". Der Spiegel. 19 December 2006. Retrieved 16 January 2006. ↑ "Talks Tadic – Kacinsky". Glassrbije.org. 14 May 2009. Retrieved 11 April 2010. ↑ "Biography". Notablebiographies.com. Retrieved 11 April 2010. ↑ Dempsey, Judy (10 April 2010). "Kaczynski often a source of tension with E.U". The New York Times. Retrieved 26 May 2010. 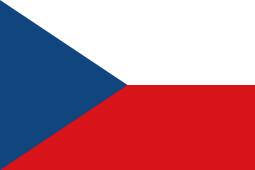 ↑ "Polish president feared dead in Russian plane crash". Reuters. 10 April 2010. Retrieved 10 April 2010. ↑ "Senior Polish figures killed in plane crash". BBC News. 11 April 2010. Retrieved 14 April 2010. ↑ "Poles to pay tribute to lost President Lech Kaczynski". BBC News. 12 April 2010. Retrieved 12 April 2010. ↑ "President of Poland Died (Погиб президент Польши)". Vesti.ru. Retrieved 11 April 2010. ↑ "President Lech Kaczynski's body returns to Poland". BBC News. 11 April 2010. Retrieved 14 April 2010. ↑ "Polish President, Wife Lie in State". CBS News. 13 April 2010. Retrieved 14 April 2010. ↑ "Kaczynski to rest among Poland's kings, heroes". CBC News. 18 April 2010. Retrieved 18 April 2010. ↑ "Presidential resting place". Polskie Radio. 16 April 2010. Retrieved 19 April 2010. ↑ "Poland's President Will Be Buried in State Funeral on Sunday". Fox News. 13 April 2010. Retrieved 14 April 2010. 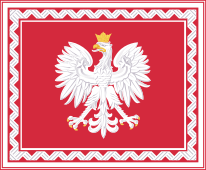 ↑ "State funeral for Polish president Lech Kaczynski and wife". The Guardian. UK. 13 April 2010. Retrieved 14 April 2010. 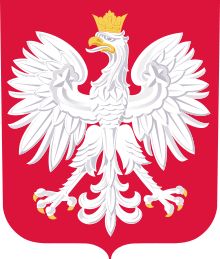 ↑ "Poland holds state funeral for President Lech Kaczynski". BBC News. 18 April 2010. Retrieved 19 April 2010. 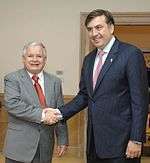 ↑ "Saakashvili: 'Kaczynski Played Amazing Role in Fight for Georgia's freedom'". 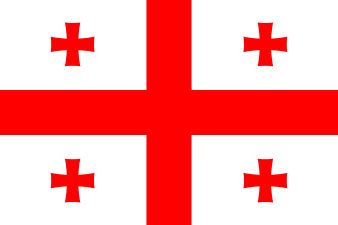 Civil Georgia. 10 April 2010. Retrieved 14 January 2015.